Blurb Description: I am a Belle. I control Beauty. 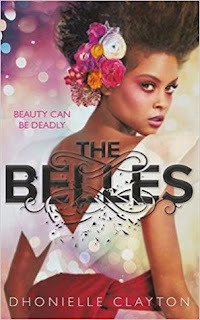 The Belles is a BEAUTIFUL, rule-bending book that will leave you gasping for more, all while being astounded by Clayton’s writing and the powerful message this book holds. If you didn’t already know, I have been waiting to read this book for FOREVER! This WONDERFUL and rule-defying book was first announced in 2016 and so I’ve been waiting over a year and a half to get my book dragon claws into it. I stared reading it the DAY after I got a proof copy from Hachette India (which was six days ago?) I finished it just a few hours ago and I’m in shock and awe. Dhonielle Clayton managed to capture such an important message in an absolutely brilliant book and I cannot WAIT to see where the next book in the series takes me. 1. The world was INSANE. Set in the Kingdom of New Orleans, where all people except The Belles are born with grey skin, straw hair and blood red eyes, this book captures, at it’s very essence, everybody’s need to be beautiful. Belles can change the inward manner and outward appearance of anybody using their Arcana, for a prince of course, and you’re truly shown the lengths people will go to get to what they want to look like. 2. 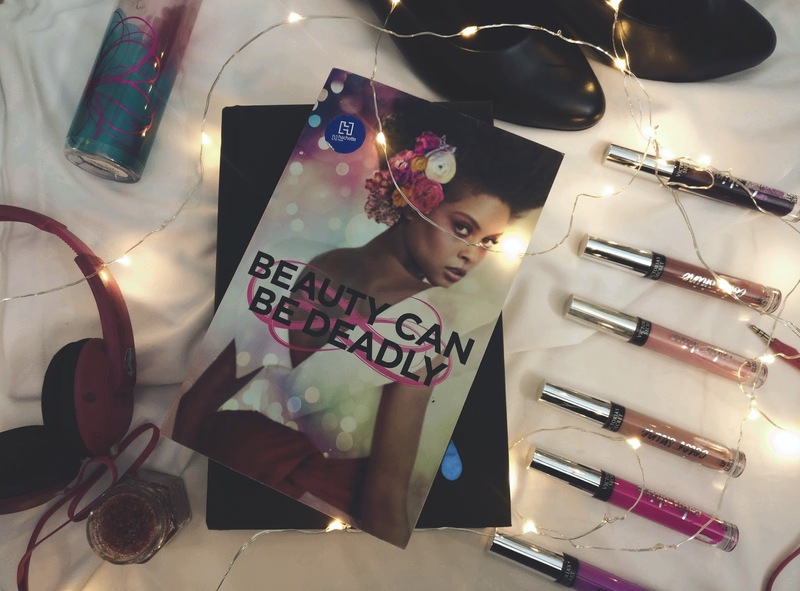 This book begins when a new generation of Belles presents themselves to court, their relationship with each other and their gifts and most of all, the insanity and politics surrounding beauty. 3. I REALLY liked a lot of the characters in the book, and I wished we saw more of others, but for some reason, I didn’t fall in love. I expected to be blown away like I was with Tiny Pretty Things, the last Dhonielle Clayton book I read, but that final element was just missing. 4. I guess that (^) has something to do with THE SHEER AMOUNT OF QUESTIONS I HAD including: A) What is the birth process of a Belle like? WHAT DOES COMING FROM ROSES MEAN? B) How does the Arcana and “cutting and shaping with a knife” and “inserting metal rods” really work when a Belle is altering someone’s appearance? It was all so vague and I was left a little clueless. Also, C) HOW LONG IS A BELLE IN COURT FOR? When does the next generation come? HOW IN THE WORLD DO POST-BALLOONS WORK? What are tea-cup animals? 5. While I did have a lot of questions, I also loved a lot of the characters. I ADORED Remy, especially with his gruff exterior and his heart of gold. He was a softball with his three sisters and I absolutely LOVED him. I also cannot WAIT to see more of him in the next book. 6. I did like all of The Belles, but honestly, I’m so excited for the inevitable character growth that they’ll go through in the next book as they learn to deal with the fact that everything they’ve ever known is gone. They were sort of… plain characters and I didn’t really love or hate any of them. Honestly, you guys, THE HYPE IS REAL. This book will not be what you’re expecting it to be, nor is it like anything you’ve ever read before. It is a masterpiece, in every sense of the word, and I can’t wait to see where Clayton takes us in the sequel! 4 stars. 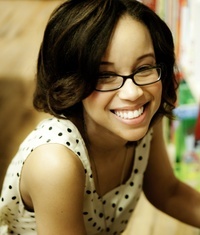 Dhonielle Clayton is the co-author of the Tiny Pretty Things series. She grew up in the Washington, DC suburbs on the Maryland side and spent most of her time under her grandmother’s table with a stack of books. A former teacher and middle school librarian, Dhonielle is co-founder of CAKE Literary—a creative development company whipping up decidedly diverse books for a wide array of readers—and COO of the non-profit, We Need Diverse Books. She's got a serious travel bug and loves spending time outside of the USA, but makes her home in New York City, where she can most likely be found hunting for the best slice of pizza. Have you read The Belles? WHAT DID YOU THINK OF IT? What have some of your favourite reads of this year been? I'd absolutely love recommendations!